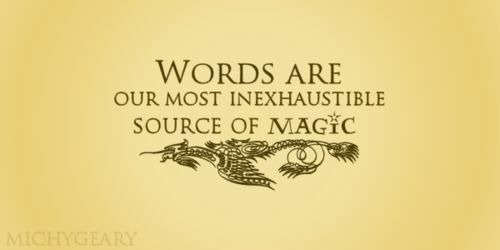 Words- I love words! And I will share them with you. Many of these words may not belong to me. I have these "journally" things; their actual proper names when you buy them in the store are journals, I call them quote books. The second is almost finished and the third is itching to be written it. Well, they are filled with quotes from books (and some movies) that really jump out at or speak to me in some way. I got the idea from ‘A Walk to Remember’. I love them! The help bring my peace (though sometimes they also raise all kinds of questions). So expect for me to share some of them with you; others words and my thoughts on them. Books- Expect to hear about my love affair with them! It’s a pretty big one. I must have one ready to be read at all times! I also reread books that I love… just kinda have too. Harry Potters? Read them all four times. Read the first three probably at least 7. You may not have read them repeatedly but I am assuming if you have read them at all you understand why. If you hadn’t read them (or even more so if you have and still don’t understand this), then well, I may not understand you! Sorry it’s just the truth and trust me when I tell you that I never thought I would love them either. Used to laugh when people told me I should read them. Now I laugh at myself for my own stupidity. Ok, I will stop. I could go on! I probably will (actually I can promise I will) later at some point, but he needs more space then just these last few lines. Oh, I am also learning to embrace my closet nerd! So you can expect some of that if you haven’t seen it already. Life- Mine that is; and sometimes I can barely get this one figured out so I probably wouldn’t be much help on yours. I’ve learned some stuff though and am still learning all the time. I hope you enjoy my journey! Oh, one more do not expect! It just popped into my head. Random, I know (I promised that remember). I will get this blogging flow and balance thing down soon hopefully (in the meantime I apologize). Outstanding fashion or makeup advice- My clothes? They mostly all come from a girlfriend’s mom! Her mama be stylin’ and I am lucky because she doesn’t wear out her outfits like I do. I’ve got some high school stuff still in my closet (and that be a L-O-N-G time ago). They keep trying to help me out. Apparently, I finally accept a fashion and try to get with the picture right as it’s going out of style. Remember, I don’t like change (and I like to be comfy). I be stuck in my ways and the warming up process takes me way too long. And make-up? Well, I can do it! However, it’s not very good and half the time I half-behind it. See, I think make-up is a waste of money (and I don’t even buy the expensive stuff) so if I know I wont be seeing anyone I just put on enough to cover any witch warts and I go along my merry way. Can’t be wasting that stuff on just any old day! I know I am good to go when I meet up with a friend and she says “oooo girl I like your makeup”. You know that’s when I’ve decided to use a little mascara and maybe some blush because girlfriends just not used to seeing all that on this face. *If you would like to help me with any of this ‘I’m all ears’ (or body I suppose) as I would really like some kind of fashion sense. I think my new hair deserves it! See?! The new hair likes makeup! This special occasion took place due to a surprise weekend a la Babe. of mine who was cleaning out her closet and thought of me.